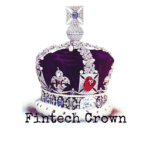 The United Kingdom has been at the forefront of Fintech innovation. While there are many reasons for the UK playing a lead role in new forms of finance several variables may be distilled from the list. First, the country is very supportive of an entrepreneurial/market-based economy. Second is the sheer, utter necessity. After years of a crumbling traditional banking system, something needed to change. Finally, it is the fact that regulators have embraced competition. They are NOT just going through the motions of providing lip service to some eccentric politician. Securities regulators, notably the Financial Conduct Authority (FCA), see competition as good and necessary to provide better service to consumers. Their role is NOT just to protect high-street banks and enforce the rules. Earlier this month, Mary Starks, Director of Competition at the FCA, delivered a must read speech on competition. It was made available on the FCA site this week. Starks explained to the audience how the FCA is approaching the challenge of disruptive innovation. 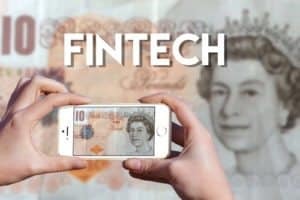 The FCA has created a new unit, the Project Innovate, dedicated to engaging with Fintech firms. 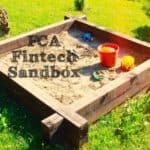 They are trying new approaches, such as the much-vaunted regulatory “Sandbox” to work with, not against, disruptive entrepreneurs. Starks believes they, as regulators, must think beyond the status quo. The message delivered is an extremely important one. Something ALL policy makers and financial regulators should review. Crafting and creating an effective financial ecosystem is best served when it caters not just to big financial firms but the consumers that use them. Choice, transparency and competition need to be the foundation of all regulators – everywhere. The rest of the world can learn from the experience of the UK. Let’s hope they do. The speech is republished in its entirety below. I am delighted that the Centre for Competition Policy has dedicated this year’s conference to Competition Policy in Financial Markets – with a title so relevant to my job, my hopes are high for the next 2 days. I am greatly looking forward to hearing from the line-up of distinguished speakers, not to mention views from what looks like a rather intelligent and discerning audience. Before I get to sit in that audience I must sing for my supper. I am going to give some background to how the FCA came to have a competition remit, talk about some of the work we’ve done in pursuit of that objective, describe some of the challenges we’ve faced along the way, and outline some of the big picture questions facing us in the next phase. I used to work at the Office of Fair Trading. After the waterfront of the whole economy, the waterfront of financial services feels more manageable but it is still a huge waterfront, ranging from consumer credit through to the listings regime. FCA oversees about 56,000 firms competing in something like 100 economic markets. In the interests of keeping to time, and covering the topic many regard as being top of the heap in competition in financial services, I am going to focus my remarks on banking. But there are lots of other fascinating issues in the heap. If I can keep to time I’m happy to take questions on any of it. Competition in banking has been in the spotlight for decades. I’ll start my timeline with the Cruickshank review, commissioned by Gordon Brown in the late 1990s. This is a theme we’ll come back to. Post-Cruickshank, the picture appeared to be improving, slightly – with a competitive fringe of smaller banks competing hard for and winning market share, bringing the share of new business won by challengers up, and concentration down. That is, until the crisis. The emergency consolidation in the sector hugely increased concentration – most notably the Lloyds-HBOS merger (which competition authorities sought to block but this was overridden on financial stability grounds). Arguably even more damaging to competition dynamics in the sector was the decimation of the ‘challenger fringe’ of smaller banks. Furthermore the taxpayer funded bailouts of RBS and Lloyds exposed uncontrovertibly the ‘too big to fail’ implicit guarantee that had arguably been distorting competition between large and small banks for years. The government established the Independent Commission on Banking, led by Sir John Vickers, to look into the financial stability and competition implications of ‘too big to fail’ – the exam question was: should the banks be broken up? In respect of competition, the ICB recommended further structural reform – augmenting the divestments required of Lloyds and RBS under State Aid to ensure that those divestments created challengers big enough to exert real competitive pressure. The ICB made a number of other recommendations in respect of competition. First, that the industry develop a current account switching service, which it did. Second, that if, within a few years, competition in retail banking remained weak, the competition authority considering a market investigation reference – also happened. And third, that the then nascent Financial Conduct Authority be given a top line statutory objective to promote competition. And it is this change that I am going to talk about today. But before I do, let me finish the timeline. As you can see a number of authorities have been busy. In December 2013 the Financial Services (Banking Reform) Act gave the Prudential Regulatory Authority a secondary competition objective. The same Act provided for the establishment of the Payments Systems Regulator as a subsidiary of FCA. The CMA launched its inquiry into retail and SME banking. And the Government has also been working on open data in banking. I will come back to how all this fits together later on. 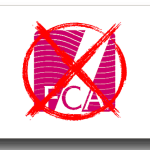 But now let me turn to my piece of the jigsaw – FCA’s competition mandate. Markets can only be properly competitive if they are properly open to entry and innovation. For those not already familiar with the financial regulation regime, post-crisis, the old Financial Services Authority was de-merged to create the Prudential Regulation Authority and the Financial Conduct Authority. to promote competition in the interests of consumers. Underpinning that is a competition duty, which – roughly speaking – requires us to take as pro-competitive an approach to our activities including those in pursuit of our other objectives as we can. We refer to the objective and duty together as FCA’s ‘competition mandate’. Also worth noting is our primacy obligation (common to all concurrent regulators) to consider whether CA98 powers are more appropriate than regulatory powers in certain situations. 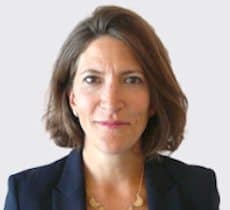 The sharp-eyed among you will have noticed on the timeline that FCA received concurrent competition powers – the powers to investigate and enforce against breaches of competition law, and the power to make a reference to the CMA – a couple of years after it was given the competition mandate. 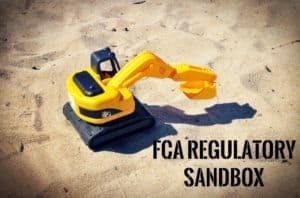 This sequencing illustrates that Parliament gave FCA a competition mandate initially because it wanted it to regulate differently – this was a fundamental change in the financial regulation regime, not (at first) an extension of the competition regime. Later on we were given concurrent powers, in line with other sector regulators, and a very strong signal via the primacy obligation that we are expected to use them. I am going to talk primarily about the regulatory aspects of the mandate today and how the FCA is regulating differently. You may recall, Sir Donald Cruickshank predicted difficulties in pursuing pro-competitive regulation. So what have been the main challenges? There is no doubt that peddling ‘more competition’ as the answer to the myriad problems the industry faced post-crisis was a tough sell. 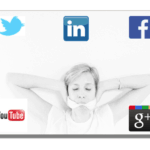 (‘Did you not see what the free market just did? !’) The experience of bank bailouts, PPI misselling, and Libor manipulation was vivid, recent and painful and the idea of putting more rather than less trust in markets was for many people deeply counterintuitive. But the deeper difficulty was the one that Cruickshank anticipated: ‘it will require an instinctive preference for pro-competitive outcomes from those tasked with delivery’. He was absolutely right that this would be hard. We know, in a big picture sense, that competition increases productivity by disciplining management, by having more efficient firms displace less efficient ones, and by opening markets to innovation. We know this increases productivity and growth and is also great for consumers, who benefit from more choice, lower prices and better quality goods and services. But we don’t know precisely what benefits competition will deliver, to whom, or when. Over the long run, relying on competition to deliver better outcomes is a good bet; in the short term it can feel like a leap of faith. This tension is exacerbated in a public policy climate where there is – rightly – a desire to focus on outcomes rather than on outputs, a desire to be disciplined about regulatory impacts, and a desire for a compelling narrative around interventions in markets. Our Board and our stakeholders challenge us with questions like ‘what would good look like in this market?’ or ‘what, specifically, are you trying to achieve here?’ We can tell a clear and robust story about what problems we’re trying to solve. We can, and do, use modern research methods to bring more rigour to policy design – Stefan and others are going to talk about that in the next panel. But ultimately ‘an instinctive preference for pro-competitive outcomes’ means taking that leap of faith – it means believing that competition is the best mechanism for discovering what consumers want and getting it to them. And that will always be in tension with the pressure to come up with a specific answer to a specific problem today. This means, as regulators, admitting and accepting that we don’t always know precisely what good looks like or what outcomes we are trying to achieve. So, are we ever to succeed, or are we doomed to proving Cruickshank right? I wouldn’t claim success yet, but we’ve made important progress over the last three years. I’ll highlight three things in particular. First, market studies. These are essentially an import from the competition regime in terms of broad approach and intellectual framework. 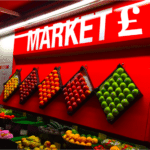 There is a lot to like about the market study – a holistic, transparent and evidence-based process for exploring the workings of a market – and it is a welcome addition to FCA’s toolkit. We have undertaken studies on general insurance, cash savings, and annuities; we have ongoing studies into credit cards, investment and corporate banking, and asset management; and we have further work planned on retirement income and mortgage markets. These are very different markets with very different issues, but in aggregate these studies have helped FCA shift from a firm-by-firm view of the world towards a more horizontal, markets-based view. The second and third things I want to highlight flow from that need to view markets holistically, rather than predominantly from the standpoint of regulated firms. We have made enormous progress over the last three years in one, understanding the consumer perspective, and two, understanding the new entrant perspective. On the consumer side we have made particular progress with behavioural economics. We have also learned a lot through more traditional tools – consumer segmentation and market research. We have used these approaches both to explore very broad questions (for example around vulnerability, which I will come back to) and very specific questions (for example around which consumer segments are most likely to become victims of investment fraud). The new entrant perspective is of course vital. Competition is uphill work if consumers see little point in switching from one stodgy oligopolist to another. Markets can only be properly competitive if they are properly open to entry and innovation. And as regulators – traditionally major builders of barriers to entry and instinctive guardians of the status quo – it is particularly important that we get this. 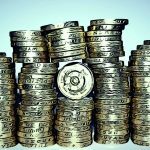 One of our earliest actions was to redesign the process for authorising new banks to avoid the Catch 22 whereby you couldn’t raise capital without being authorised and yet you couldn’t get authorised without having sufficient capital. We’ve resigned that process and – together with the FCA- established a dedicated unit to deal with new banks. But the new entrant perspective goes wider than that. This is more true than ever in the digital age, the age of big data and ‘disruptive innovation’. This simply illustrates that in the period of my timeline, we’ve seen the launch of the first iPod, iPhone, iPad and Apple watch – 18 product launches in all from Apple alone. These have revolutionised the ways we access media and cultural content, interact with one another, transact commercially, and much more. So how is FCA approaching the challenge of disruptive innovation? We asked ourselves the question: ‘if we want to see more entry and innovation in banking and FS, how fit for purpose is our regulatory framework?’ And needless to say we found we didn’t know the answer, because we weren’t talking to the right people. Potential entrants don’t have regulatory affairs departments busy responding to our multitudinous consultations; we weren’t hearing their views. 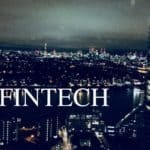 We started by looking for ways to engage with financial technology (‘fintech’). We established a new unit, ‘Project Innovate’, to be a dedicated interface with this community. Project Innovate pretty rapidly evolved from listening to helping. The unit provides direct support to innovative firms, in understanding how our rule book applies and navigating the path to authorisation. But it also continues its listening function, identifying areas where the regulatory system needs to adapt in order to foster innovation in the interests of consumers. While we might all agree that competition is beneficial in a macro sense, there are emerging questions about which consumers benefit from competition, and whether others are left behind. One such area is financial advice. The challenge for financial advice (in common with many of the professions) is that a traditional face-to-face professional service is beyond the means of the ordinary mass market consumer, at a time when the need for affordable advice is rising, especially in relation to pensions. 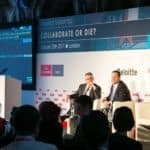 It is pretty clear (again in common with other professions) that the response to this challenge will be technology-driven, involving automation in some form – a concept dubbed, possibly unhelpfully, ‘robo-advice’. Clearly the regulatory framework will need to adapt. To pick one example we have rules about what sort of exams a human adviser must pass before they are qualified to advise; how would we apply these to an algorithm?! We are trying new approaches to moving forward with such questions. 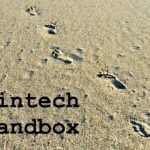 We are in the process of setting up a regulatory ‘sandbox’ which will allow businesses to test out – say their robo-advice algorithm – without incurring all the normal regulatory consequences. It is early days for the sandbox, but this kind of collaborative, experimental and iterative approach feels like a sensible way to adapt the regulatory framework in fast moving markets, as opposed to the more traditional Big Bang approach to regulatory reform. 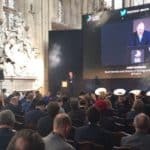 So, in terms of progress to date I’ve talked about market studies and the shift from a firm-based view of the world to a markets-based view. And I’ve talked about understanding the consumer and innovative entrant perspectives. There is plenty more work still to do on all three fronts. But what are the other big challenges? 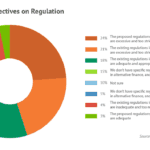 What are the next big questions for competition policy in financial services? There’s a big question around firm exit. There’s no getting around the fact that exit is the other side of the entry and innovation coin – competition means allowing firms to fail as well as succeed; innovation means experimentation, and not all experiments work. Estimates vary, but FSB figures suggest that 50% of new start-ups in the general economy last less than three years. In financial services, I exaggerate only slightly when I say the failure of a single firm used to be enough to get its supervisor fired. Culturally, are we ok with half the firms we authorise failing within 3 years? Now of course not all exit takes the form of failure – but we can’t count on it always taking the form of dignified withdrawal from less profitable line of business either. The financial crisis taught us a thing or two about firm failure (admittedly as silver linings go this is pretty meagre). Following the collapse of Lehman, there was a lot of work on the client assets regime to ensure that when an investment firm goes down, the cash, stocks and shares it holds on customers’ behalf can be returned to them. This regime has been tested. In January 2015, Alpari – a retail forex trading firm and erstwhile sponsor of West Ham FC – went into administration. Alpari had segregated client funds according to CASS rules, and this allowed the administrators to return money to customers. I am glad to report that Alpari’s supervisor was not fired, but culturally we still have some way to go in developing our confidence around exit and thus entry. The second big question is around the distribution of the benefits of competition. While we might all agree that competition is beneficial in a macro sense, there are emerging questions about which consumers benefit from competition, and whether others are left behind. With the arrival of big data, firms – in financial services but in lots of other sectors too – are finding new ways to price discriminate. 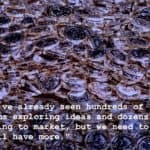 Whereas previously the shopping around and switching activity of a small number of ‘marginal consumers’ (as the economics textbooks call them) might keep prices down for the many, with price discrimination the returns to shopping around and switching are not necessarily shared across the whole market. 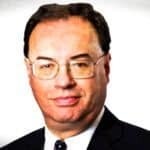 In financial services we sometimes talk about ‘Martin Lewis readers’ (he writes the Money Saving Expert blog) as shorthand for those ‘marginal consumers’ who are shopping around and switching, and doing very well out of it. But rather than keeping prices down for everybody else, could they in fact be pushing them up? We might not worry about this very much if we think that everyone has it in them to be a Martin Lewis reader, and that there are rewards to the effort some people choose to make. We might become rather more concerned some consumers, through being vulnerable or excluded, are not able to share the fruits of competition. For example there are over 1.4m people aged 85 or over in the UK – is it realistic to expect these consumers to shop around in the same way as millennials? 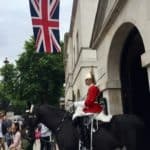 FCA has begun to scratch the surface of this question through research on vulnerability and on access to financial services and the Ageing Population. But there’s a lot more work to do to understand the distributional impacts of competition, and to develop realistic expectations of what consumers can ‘should’ do to protect their own interests in these markets. I’m going to come back to where I started, with competition in banking. Frankly, there’s a sense of exhaustion but also of unfinished business around this topic – many things have been tried but we are yet to see the progress in the market that many would wish for. So, where next? Not least since I am speaking at her conference, I must credit this virtuous circle model to Amelia Fletcher. The basic idea is that competition and consumer policy work together to create a ‘virtuous circle’ whereby firms enter, innovate and compete hard to meet consumer needs, and engaged, informed consumers can distinguish between good deals and bad, and vote with their feet accordingly. In the general economy, competition law affects this part of the picture, while consumer law operates up here. Regulation kicks in on both sides. I’ve added to this slide the various initiatives underway in banking. On the supply side we have the divestments of TSB and Williams & Glyn; we have the New Bank Unit helping new challenger banks get authorised, Project Innovate helping FinTech firms, and we have the PSR ensuring that new entrants can access the essential payments infrastructure. On the demand side we have the Current Account Switching Service, the work on open data and APIs (which has implications for both consumers and fintech firms in terms of accessing data currently held by banks), and we have provisional remedies from the CMA which, among other things, look to prompt consumers to take action by giving them relevant information at a time they need it and in a format they can use. The visual conceit I’m aiming for here – for those who need such things spelled out – is that we have this problem surrounded. We are coming at it from all angles. The serious point is that these initiatives are all interdependent (eg, you won’t get much new entry unless new entrants can persuade at least some customers to switch). And there are signs that they are working together. Since 2013 we’ve issued 14 new banking licences, with over a third of those going to domestic new entrants. But it is a time for persistence rather than complacency – for finishing what we have started. There are early positive signs but we are a long way from securing the kind of change many have called for. There are also important dynamics that this picture does not capture. First, the interlinkage between current accounts and other retail banking markets. We care about current accounts in large part because it is traditionally the anchor product – many people have their savings, their mortgage, their credit card and their insurance with their current account provider. So we should also look to limit the extent to which the current account locks consumers in to other products. Initiatives like open data have huge potential to enable services to emerge that allow consumers to bring together their financial affairs in one place – to see and manage their money across – without having to purchase all those products from a single provider. Second, the picture captures new entry, but it doesn’t capture growth. How can we ensure that enough of these challengers grow to become established players and exert real competitive pressure on the incumbents? The ICB estimated that challenger banks need to cross a threshold of 5% market share to mount an effective challenge in the retail market; none of the newly established banks are yet close to this figure. These banks need to grow during the good times. And it is equally important that enough of them survive the bad times. We need the challenger fringe to survive the next downturn better than it did the last. The capital regime for small banks is critical here, this is something the CMA looked at and the PRA is doing further work on. Finally, the picture does not fully capture competition beyond the traditional retail banking model. And it may be that this is where we’ll see the game really play out. My guess is that over the last couple of years the boards of the big banks have spent more time discussing the threat PayPal, Apple and Google than from the challenger banks. I’m a regulator not a futurologist. My point is that in designing competition policy in financial markets we need to think beyond the status quo. Rather than targetting a specific outcome we need to be open to a range of possible futures, open to taking leaps of faith. Cruickshank was right that this is not traditionally a strong point of regulators. But in part through events like this, I think we can get better at it. 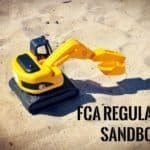 This entry was posted in Global, Opinion, Politics, Legal & Regulation and tagged fca, financial conduct authority, mary starks, perspective, regulations, sandbox, uk, united kingdom. Bookmark the permalink.